Application integration is always one of the trickiest pieces of developing new apps. Building coherent, compelling app experiences means orchestrating data from a wide range of back-end sources – truly the Wild West of legacy formats and integration protocols. 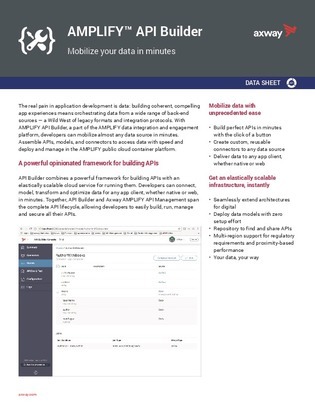 Access this whitepaper on an API builder that combines a powerful framework for building APIs with an elastically scalable cloud services for running them, and build perfect APIs in minutes with the click of a button.